Oyo State Youth Leader of Peoples Democratic Party Adekola Adeoye has raised an alarm that the agents of the ruling All Progressive Congress APC in the state have been going around promising financial rewards to electorates willing to exchange their votes for cash. This was contained in a media statement signed by Adekola Adeoye and made available to newsmen Tuesday, in Ibadan. 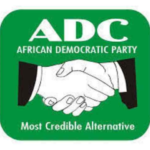 According to the statement the APC agents are pledging various sums to electorates in order to influence the direction of their votes. The PDP state youth leader advised the people against selling their votes, “ Dont sell your votes, vote according to your conscience”. 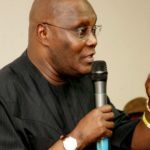 He stressed that voting for PDP is a vote for good governance and a bright future, reiterating that the APC government have no visible achievements to campaign with, if they have, they wouldn’t result to vote buying. The statement further stated that, the PDP gubernatorial candidate Engr. 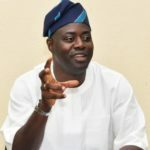 Seyi Makinde is committed to governing the state with the fear of God, a government that will put the interest of the people first and not those of a godfather. Oyo ADC Chairman Dr. Ahmed Ayinla disassociates self from the Guber screening excercise, conducted by leaders of the party.